New from Danish designers Ebb & Flow, Rowan Crystal pendant lamps and wall lights is the latest iteration of the already successful Rowan collection from a lighting house specialising in unusual and highly decorative styles with an authentic, nostalgic feel. 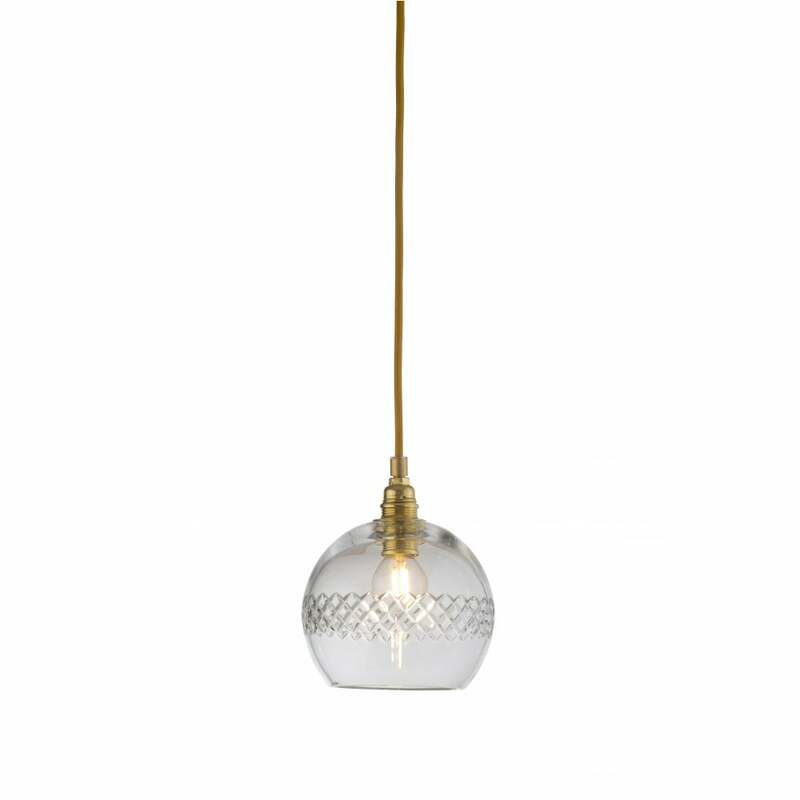 This gorgeous selection of ceiling pendants is made in carefully handcrafted crystal for superior quality and clarity – their simple yet sophisticated shapes, catching the light beautifully. Three sizes are available: 15.5cm, 22cm and 28cm in diameter - with 5 individual stylistic variations of etching within the crystal itself. Choose a central stripe with two sizes of check or the entire light having 3 different sizes of check.